Our trainer’s have the best experience with careers in the Police, Queensland Corrective Services, sports stadiums and night clubs, to name a few. 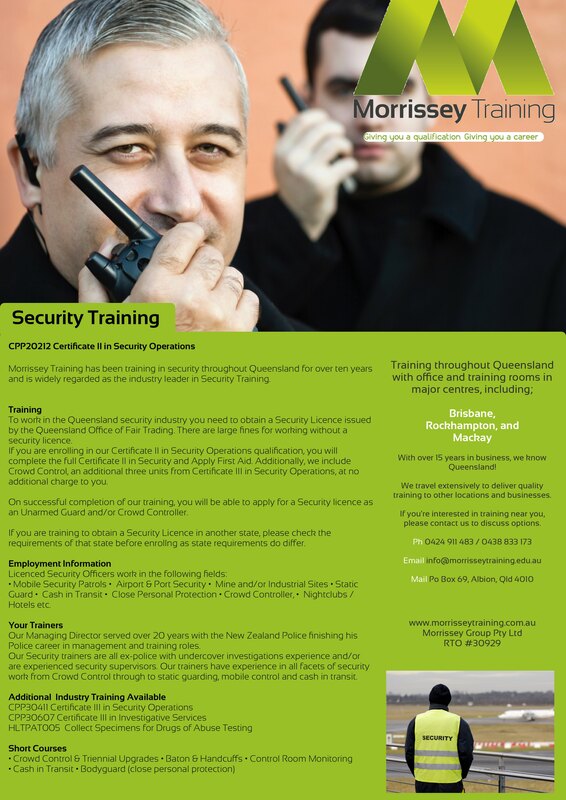 This breadth of experience gives you the best insight into what it like working in the Queensland Security industry. Start your Security career with this Certificate III level qualification. Aimed at security supervisors, this qualification will give you the skills required to perform more complex tasks. The Certificate 3 Guarantee Program will provide a Government subsidy towards the training costs for eligible Participants undertaking a certificate level 3 qualification from July 1, 2013. Morrissey Training is a Pre Qualified Supplier under this program for the delivery of Certificate 3 in Security Operations. An introductory qualificaton which covers you for the basics required to apply for your Queensland Security Licence through the Office of Fair Trading. 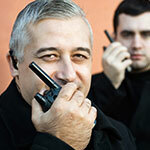 These units of competency are from Certificate III in Security Operations and can be completed as stand alone courses. See our course calendar for dates.